Melatonin is a hormone secreted by the pineal gland in the brain that is vital in regulating the normal circadian rhythm. If there are any abnormalities in the production and secretion of the hormone melatonin, it can lead to the development of circadian rhythm sleep disorder and it can cause various negative effects to the body. In connection with the sleep cycle and melatonin, melatonin’s production and secretion is stimulated by darkness, which is why, melatonin is usually at its highest level during nighttime. The more production and secretion of the hormone melatonin, the more a person gets sleepy and less alert. For people with abnormalities in the production and secretion of melatonin, they are usually prescribed by their doctors to take melatonin supplements. 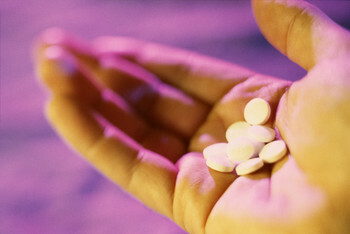 Melatonin supplements can be bought over-the-counter in most pharmacies and drugstores. People who are prescribed with melatonin supplements are usually suffering from various sleep disorders, specifically insomnia, circadian rhythm sleep disorder, jet lag, and work shift sleep disorder. Melatonin supplements is usually considered to be a safe supplement for intake, however, there are some people with certain medical conditions that need to be cautious when taking melatonin supplements, for it can cause adverse reactions and other negative side effects. It will be best to consult a medical doctor before drinking melatonin supplements. For women who are trying to get pregnant, nursing, and presently pregnant should not take melatonin supplements. I repeat, DO NOT TAKE MELATONIN SUPPLEMENTS. Melatonin can cause changes to the progesterone and luteinizing hormones, which play big roles in women. Women who are trying to get pregnant should not take melatonin, since melatonin can cause contraceptive effects. Melatonin taken during pregnancy can increase the risk of developmental disorders to the fetus. Before taking melatonin, talk to your doctor about it. And never forget to tell your doctor if you are taking maintenance medications.